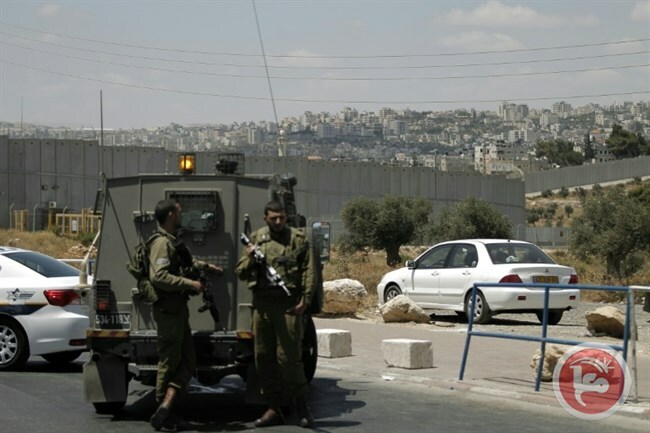 BETHLEHEM (Ma’an) — A Palestinian, who locals said was mentally disabled, was shot and injured after allegedly attempting to stab Israeli soldiers in the northern occupied West Bank district of Nablus on Friday afternoon, an Israeli army spokesperson told Ma’an.The spokesperson said that the alleged stabbing attempt took place at a “security post” at an entrance to the city of Nablus, adding that the Palestinian had been evacuated to Rabin Medical Center in Petah Tikva, Israel, where he was in serious condition.According to a spokesperson from Rabin Medical Center, he was undergoing surgery for his injuries as of Friday evening.No Israelis were injured in the case.Local sources told Ma’an that the Palestinian shot at the Awarta checkpoint east of Nablus was a mentally disabled youth.They identified him as Hasan Khalid al-Qadhi, 26, from the village of Awarta, claiming that he was riding a bike when Israeli forces shot him.The sources added that al-Qadhi had been detained by Israeli forces on several occasions in the past, before being released after they determined that he was mentally disabled.Israeli forces reportedly deployed around Nablus and closed several checkpoints in the area. The incident comes after a deadly shooting by Palestinian gunmen in Tel Aviv on Wednesday left four Israelis dead and several injured, marking the greatest lost of Israeli life since a wave of unrest began in Israel and the occupied Palestinian territory in October. More than 200 Palestinians and some 30 Israelis and have been killed in the surge of violence, which has been largely characterized by small-scale Palestinian attacks on Israeli military targets and settlers. Following Wednesday’s attack, Israeli authorities have imposed large-scale punitive measures across the occupied territory, in what the UN said could amount to collective punishment.